Samantha is a California native who fell in love with Colorado, relocating to the state in 2013. She possesses a BA in Women’s Studies from University of California Riverside and a Master of Public Policy from Pepperdine University. Samantha’s past work experience includes work in local government & business relations, public affairs and environmental policy. Previously the Executive Director of the Grand Lake Chamber of Commerce, Samantha founded their in-house nonprofit Outstanding Grand Lake Foundation, which focuses on sustainable travel and water conservation. Focusing much of her career highlighting the economic impact of conservation, she connects the need for wildlife management reform to research on ethics, efficacy and government expenditures. Samantha lives in Grand Lake with her family, where she enjoys rural living with ample access to the outdoors. 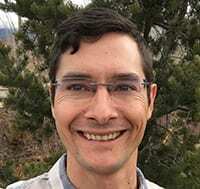 Daniel Timmons joined WildEarth Guardians as a staff attorney in 2019, where his work focuses on halting fossil fuel development on public lands and protecting the imperiled wild rivers of the Southwest. Trained in both law and science, Daniel earned his Juris Doctorate from Lewis & Clark Law School, his Masters’ of Science in Environmental Sciences and Policy from Northern Arizona University, and his Bachelor of Arts from Columbia University. Prior to joining Guardians, Daniel was as an associate attorney with the Southern Environmental Law Center in Charleston, South Carolina, and he previously worked in private environmental law practice in Portland, Oregon. He is licensed to practice law in Oregon, Washington, and South Carolina (inactive). Daniel lives in Santa Fe with his wife, where he enjoys hiking, cross-country skiing, and exploring the ever-inspiring American West. Galen Hecht grew up in New Mexico and Colorado where he cultivated his affinity for wild lands, life, and water. Galen spent two years studying at United World College on Vancouver Island then earned a B.A. in Human Ecology at College of the Atlantic in Maine. After graduating, he spent a year as a Watson Fellow studying the relationships between people and rivers in Asia, Scandinavia, and South America. His education and experience on international rivers guided his passion to work for social and environmental justice. Now with the Wild Rivers Program, he works on a campaign to support the Rio Grande and keep the watery heart of the Southwest a living river. When Galen isn’t campaigning, he is on the trail or water, skiing, running, paddling, and exploring. Danni moved from Wisconsin to New Mexico 10 years ago where she continued raising her son and daughter. During that time, Danni also devoted four years to teaching English to Buddhist monks and she maintains meaningful relationships with many of the monks. 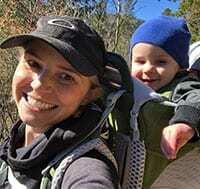 On a Saturday morning, you'll find Danni finishing up a hearty breakfast to fuel exploration of new areas or hikes into some of her long-standing favorites spots, like Tent Rocks National Monument and the trails in Cochiti Lake area. Danni's work as the financial maven for restoration projects at Guardians reminds her of the healing of her homeland Laos and the beauty and peace that have resulted from that work. Danni is excited to work with an organization whose mission closely matches her culture and personal values. Jeremy Bremser grew up in Los Alamos, New Mexico. He attended college in Albuquerque at UNM where he received his degree in Accounting. 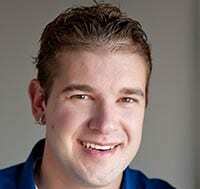 In past years Jeremy was the Controller for a local hotel and for a large property management company. Jeremy has been in the finance world for over 10 years. Jeremy spent his youth traveling the world and enjoying the sport of scuba diving. Other than diving Jeremy spends his free time running, playing the Saxophone, and being SuperDad to a lovely little girl. Kelly Nokes joined WildEarth Guardians as Carnivore Advocate in June 2015 and became Guardians' Transparency Staff Attorney in September 2017. She holds a J.D. and Masters of Environmental Law and Policy from Vermont Law School and a B.S. in Environmental Conservation and Outdoor Recreation Leadership & Management from Northern Michigan University. She is a barred attorney in the State of Montana. Kelly has been an active advocate for wild creatures and wild places throughout her career. 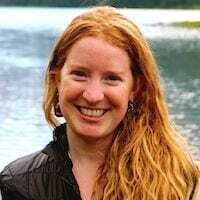 She previously served as a legal intern with Western Environmental Law Center and Trustees for Alaska and came to the Guardians with a strong background in environmental education and program administration from her prior work with Columbia Riverkeeper and the Columbia Gorge Ecology Institute. An avid mountain biker and trail runner, Kelly can often be found on the trails exploring Montana's beautiful mountain landscape when not in the office. Bill joined the board in 2009. He is the only board member who is a native New Mexican and brings this unique perspective to the deliberations of the board. 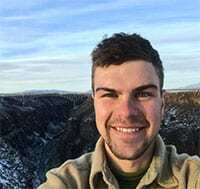 His love of nature began early in his life with frequent trips to New Mexico and southern Colorado forests and streams, backpacking and fly-fishing with his family. Voyages to the Gila and Pecos made a lasting impression on young Bill leading to the desire to preserve wilderness areas in as pristine a state as possible. He went to college at Stanford university, majoring in biology and chemistry. While there he became involved in outdoor biological research. One summer was spent just outside Yosemite studying chipmunks. The next year he was involved in the student lead Mono Lake study evaluating the effects of water diversions by Los Angeles on the ecology of the lake. The results of this study are still in evidence today with the maintenance of water levels in the lake high enough to preserve the breeding islands of gulls. Currently he works as a general surgeon in Albuquerque, in private practice since 1990 but also involved in teaching residents and medical students from UNM. He continues to have a love for the outdoors and spends time outside hiking, cycling, backpacking, bird watching,skiing,gardening and fly-fishing. Peter is a partner in the Albuquerque law offices of Rothstein, Donatelli, Hughes, Dahlstrom, Schoenburg & Bienvenu, LLP. He has practiced criminal defense law in New Mexico since 1978. He received his undergraduate degree at Yale College and his law degree at Rutgers School of Law. A former Federal and State Public Defender, as well as an Assistant Attorney General, since 1993 Peter has worked in private practice defending complex criminal cases in both Federal and State courts. He also regularly represents Native Americans charged with illegal possession of feathers in connection with their religious practices. He has been continuously listed in The Best Lawyers in America - Criminal Defense since 1994. Peter’s love of the wilderness and commitment to its preservation began in his child-hood years in upstate New York. Beginning in law school he worked as an instructor at the Hurricane Island Outward Bound School in Maine and the, now defunct, Southwest Outward Bound School based in Santa Fe. He is an avid rafter, hiker, skier and cyclist. 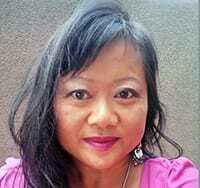 Kristina Martinez was born and raised in beautiful Santa Fe, New Mexico. She holds a Bachelor of Arts degree in Sociology from the University of Arizona and a Juris Doctor degree from the University of New Mexico. Ms. Martinez has practiced law in Santa Fe since 2006. She focuses her practice in the areas of civil rights, general civil litigation, and family law. Kristina serves on the Ethics & Campaign Review Board for the City of Santa Fe as well as the boards of the St. Michael’s High School Foundation and Cooking with Kids. She loves the Santa Fe community and the American Southwest and strives to help preserve and enrich both by serving on the WildEarth Guardians’ board, which she joined in 2015. Nat Cobb joined the Guardians Board in 2010. He grew exploring the outdoor environments in New Mexico, Colorado, and Pakistan. In the 1970’s he worked for five different Outward Bound schools in diverse environments, including three years directing programs in the Gila Wilderness. He also worked as a river guide on the Grand Canyon and in Dinosaur National Monument. A graduate of Fort Lewis College and Harvard Medical School, he recently retired from the Indian Health Service and the Centers for Disease Control, where his work included Family Practice, Emergency Medicine, Research and Epidemiology. He still loves to explore mountains, rivers and deserts by boat, ski, foot, and bicycle. He and his wife actively support and partner with several local farmers in farm-to-table, farm-to-beer mug, and farm-to-wineglass projects. At home on the bank of the Rio Grande in Los Ranchos, NM, he dabbles in native plant landscaping and tries to co-exist with the coyote, geese, beaver, and sandhill cranes who live in his back yard.